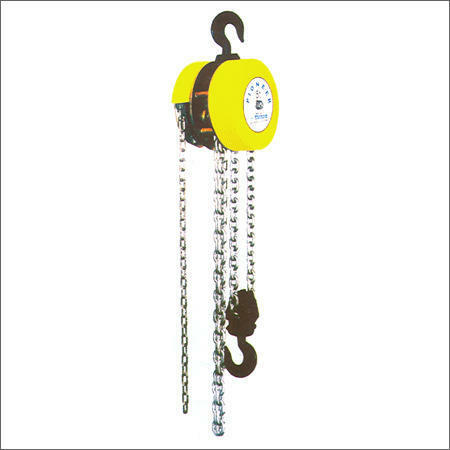 Ever since establishment, our organization is working as a trusted wholesaler, supplier and trader of a broad series of Chain Pulley Block. This product is made by our skilled workmen who abide by factory mandatory requirements of all the customers. Extensively demanded for their precision dimensions, these products are assured for their seamless finishing. Founded in the year of 1985, we United Trading Company are a leading and prominent organization affianced in trading, wholesale and supplying a wide array of Industrial Products. In our effective assortment of products we are offering Pneumatic Tools, Hardware Tools, Industrial Valves, Pipe Fittings Parts, Fire Fighting and Safety Equipments, Boiler Mountings Valves, Transmission Equipment, Spiral Wound Gasket, Material Handling Equipment, Safety Products and Measuring Tools. Offered array of products are manufactured in full tandem with the industry defined norms and standards at our vendors end. These products are designed with the utilization of industry approved basic material. Offered products are highly appreciated across the industry for their sturdy construction and longer service life. Additionally, these offered products are used in various hard industries.